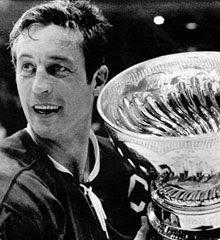 Truly as it always was, your neighbour was your goalie or our goal scorer, but nobody was ever a defensemen. No glamour in defending. 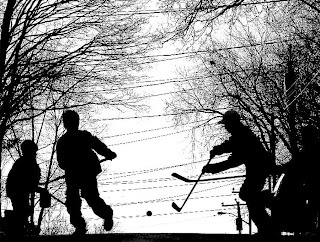 It was always about scoring picturesque goals and making game-winning saves. It was about making memories and in some cases, re-enacting them. 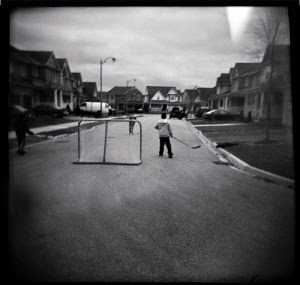 I'm the Goalie Who Lives Across the Street. they take a break after every rush. "Hey, Jim Carroll. 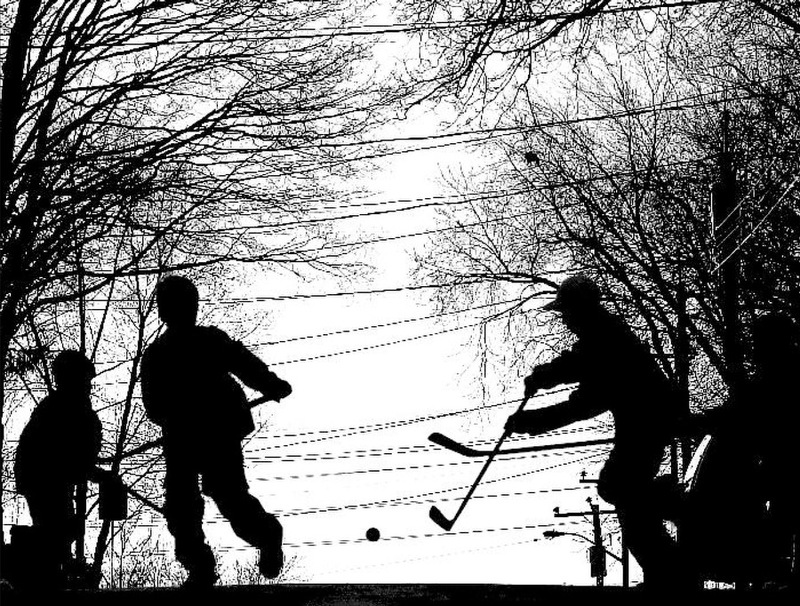 Pass the puck." against the milk white ice." (there are no bad questions, only bad wrist shots). 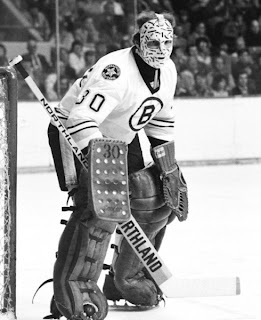 Gerry Cheevers is welcome any time.